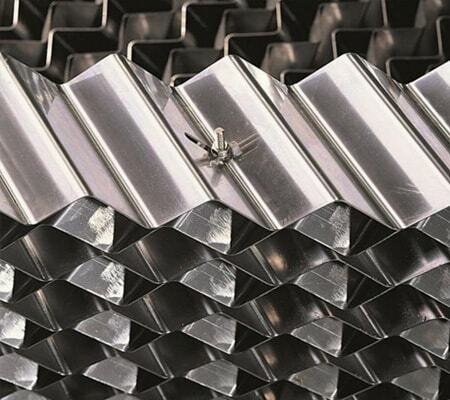 The Finepac Grid Packing is an adaptation of the conventional structured packing which uses a smooth metal packing surface to eliminate areas on the packing where fouling can begin. These packings are developed for severe services susceptible to fouling, coking, erosion and applications involving high solid content. Stainless steel, Duplex Stainless Steel , Nickel Based Alloys.